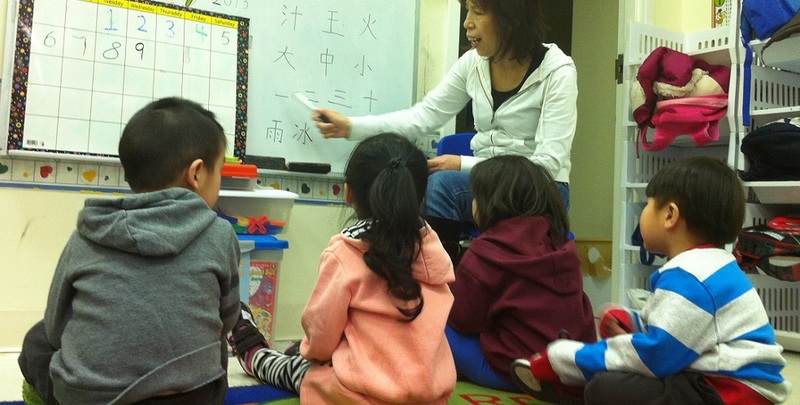 The Learning Jungle School Chinese Enrichment Program focuses on teaching both the Mandarin and Cantonese languages to young children between 3 to 12 years old. Through pre-designed lessons, native-Chinese teachers prepare and organize the lesson and classroom resources to maximize the language learning experience. The teacher introduces common expressions, vocabulary, writing in traditional characters, speech tones and grammatical pronunciations of the Chinese language through use and repetition. Lessons are supplemented with additional vocabulary, stories, songs, and craft activities that your child will surely enjoy! 1 Proven curriculum - Lessons are based on proven curriculum published by the Canadian Chinese Education Publishers. 2 Reinforcement - Students are given homework and workbooks (Chinese for Canadian workbook) to reinforce learning at home. 3 Three levels - Depending on skill level, students are placed in one of the three levels - Beginner, Intermediate, and Advanced Chinese. The teacher will assess the student before class starts. "My daughter has been at the Learning Jungle - Kennedy Campus for a year now. We are very pleased with the quality of care that she is receiving. She started in the daycare when she was 2.5 years old. We chose to enrol her in the Learning Jungle due to all the positive feedback we heard, as well as the variety of programming options available at the daycare (we started her with the short day program initially). Since enrolling her in the daycare, we have noticed that she has grown tremendously. Socially, she has made many new friends and has learned how to interact positively with other adults and children. Previously, she had been quite shy. We have also been impressed with her learning. She has quickly learned her letters and her numbers. She also comes home every week, singing a new song. We'd like to thank Miss Irene, Mr. Jonathan, Miss Tammy, and all of the staff at the Kennedy Campus for being so encouraging and helping to make our daughter's daycare experience so positive and enjoyable.